4. ADEKA (SHANGHAI) CO., LTD.
5. CHANG CHIANG CHEMICAL CO., LTD.
6. 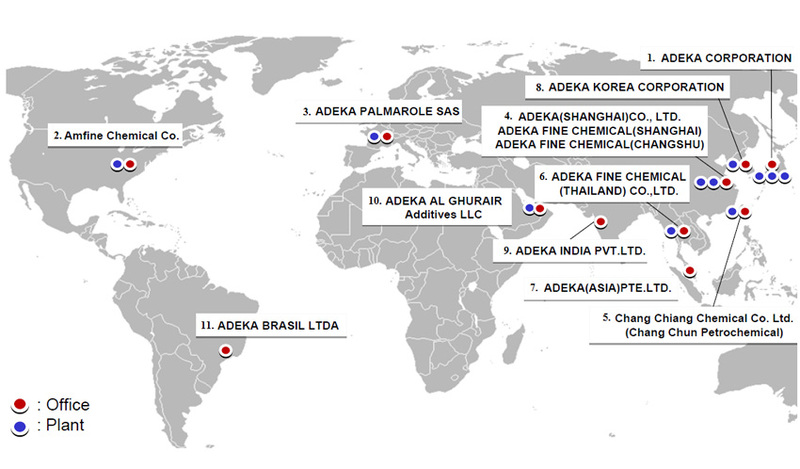 ADEKA FINE CHEMICAL (THAILAND) CO., LTD. Please fill out the form below and submit for detailed information regarding Amfine products or general inquiries.